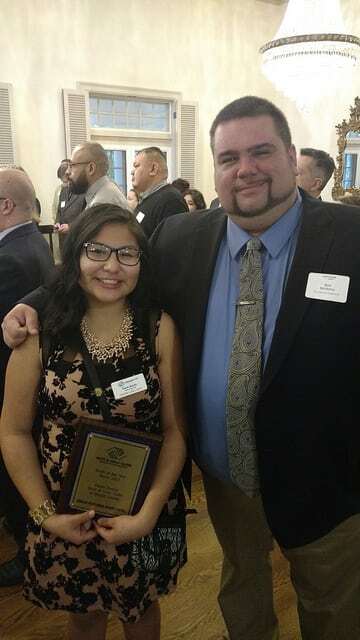 The Youth of the Year program recognizes and seeks to celebrate those Club members who embrace & embody the characteristics of leadership and service, academic success, and healthy lifestyles. Staff mentors help each member with essay writing, as well as interviewing and public speaking skills, to showcase their achievements and development. Participants are presented with many opportunities to practice and hone their skills in front of their peers, the public, and a panel of selected community judges. Being named Youth of the Year is the highest honor a Club member can achieve. Select Youth earn scholarship funds at every level of the program, with an opportunity to participate at State, Regional, and National levels. The Youth of the Year program can radically change the lives of Club members. Beyond scholarship funds, participants meet influential people in many industries. The program can assist a student in earning admission at prestigious Universities throughout the country, be leveraged to attain high-level summer internships and programs, and provides the participant with important life skills. There is no cost to attend the event, yet an RSVP is required. Online registration will be available closer to the event or contact Heather Greenlaw at heather.greenlaw@skagitclubs.org or 360-419-3723 x8 to be put on a guest list. Seating is limited. 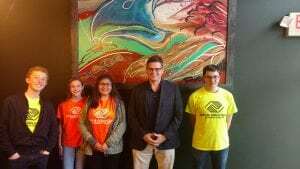 Boys & Girls Clubs of Skagit County would like to thank the Hendricks Family Foundation for sponsoring this program. Our Youth of the Year Program will be presented during Dinner, with an Award Ceremony to follow. About our Youth of the Year Program: Established in 1947, Youth of the Year is Boys & Girls Clubs of America’s premier recognition program for Club members, promoting service to Club, community and family; academic success; strong moral character; life goals; and poise and public speaking. The program is most effective when used as a year-round tool for fostering young people’s character, personal growth and leadership qualities. Local Clubs go through a development and selection process of member’s ages 14 to 18 during the summer and fall, with each Club ultimately putting forward a Youth of the Year candidate to the Organizational event in early winter. One candidate is selected to represent all of Skagit County at the State event, typically held in March. At the state level, participants receive small scholarships, with the winner receiving more than $3,500 and the ability to participate at the Regional event during the summer. Through each level, youth gain additional public speaking and interview skills, and often emerge a completely changed young person, able to confront any obstacles in their way with panache. Being named Youth of the Year at any level is the highest honor a Club member can earn, and with it comes great responsibility, but also significant opportunities to network with civic and corporate leaders, grow as an individual, create relationships with other peer leaders at Clubs throughout the County and State, and have an experience that is referred to time and again as ‘once in a lifetime’. 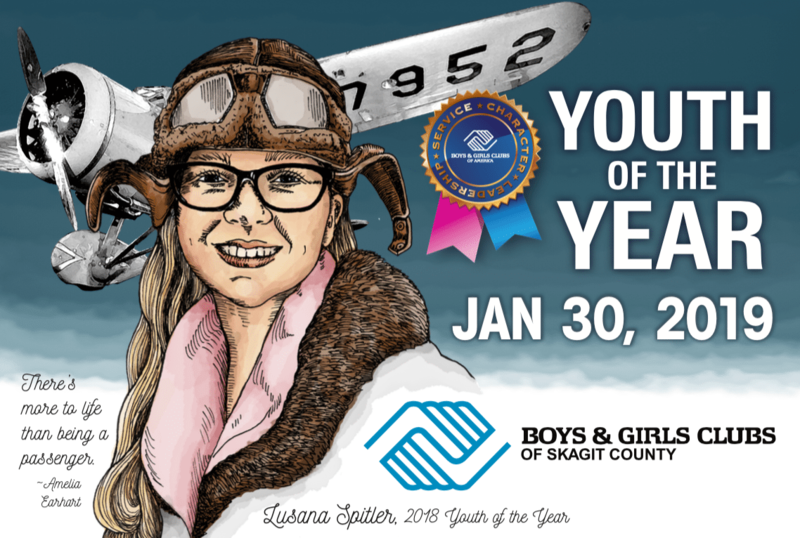 The Boys & Girls Clubs of Skagit County are poised to transition from a passive Youth of the Year program to a very active one. To do this, an investment is needed, not only to provide additional incentives for participation, but to underwrite the expenses associated with the proper development. Because of the one-on-one nature of this process, it is often the most expensive work the Club does. However, the return on investment has shown to be consistently significant, and we wish to join the ranks of organizations throughout the State of Washington who are realizing the difference that participation has in the life of our teens. Please pick one of the amounts below, or enter your amount in the next field.